Some of us have naturally warmer tones, which can give our skin slightly red or pink tones. Others have cooler tones, which means your skin may have more of a cool, yellow/olive hue. 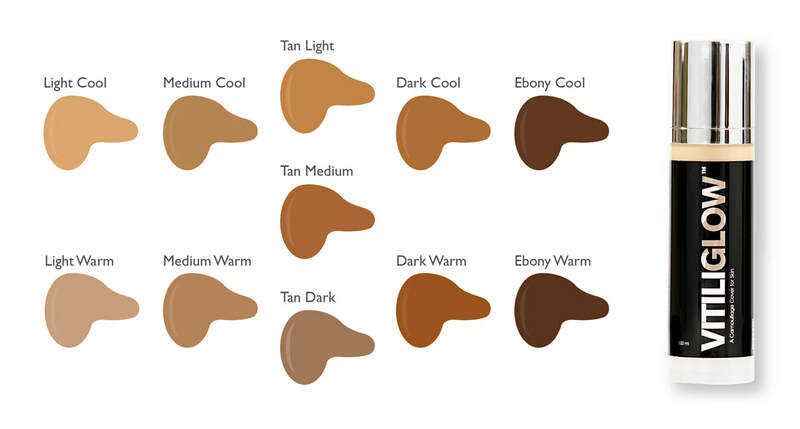 With this in mind, our range of Vitiliglow™ shades come in ‘warm’ and ‘cool’ versions. Whatever your skin tone, there’s a bottle of Vitiliglow™ for everyone! Our range of 11 shades come in 30ml or 100ml bottles. If you need help choosing the best shade to suit your pigmented skin, please feel free to send some pictures (taken in natural light) to info@vitiliglow.co.uk, and we’ll do our best to advise you. If you want to find out more about each shade, please click the buttons below.